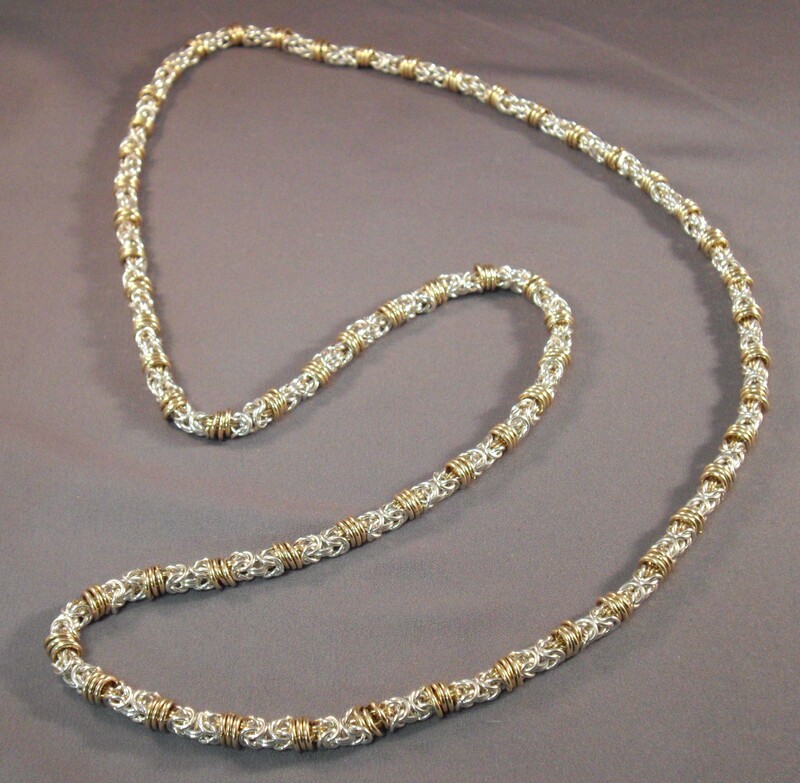 The Rolling Byzantine Necklace is a wonderful variation of the byzantine weave. The thick rings roll and add texture and movement. This necklace is also quite beautiful in a two tone variation with the rolling rings being yellow gold filled; this variation is available upon request. The kit can be in either an 18 inch or 36 inch length. A sterling silver balloon clasp is included in the 18 inch kit. The longer necklace does not need a clasp as it slips easily over your head. Matching bracelet and earrings are also quite beautiful. They can be found in the bracelet and earring kit sections on this website. This is a beginner weave.